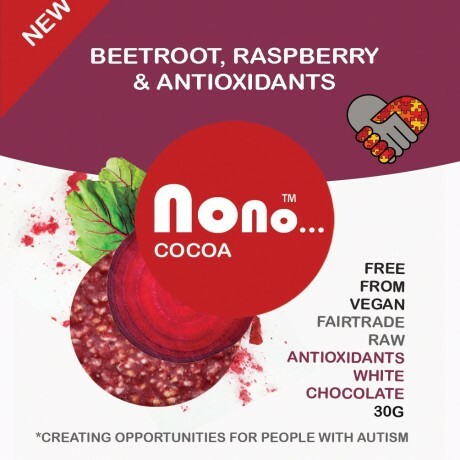 These yummy truffles with Beetroot, Raspberry and creamy Cocoa butter contain superfoods which are rich in minerals, vitamins, protein and antioxidants. Soft and creamy truffles, zesty and beautifully fruity. White Chocolate Cocoa butter 48%, Rice powder, Coconut nectar) (59%), Baobab fruit powder (12% Coconut (8%), Amaranth, Quinoa, Raspberry, Beetroot, Camu-Camu that is high in Vitamin C & Antioxidants, essential for protecting, repairing & preventing cell damage. Free from gluten, dairy, nuts and egg. Produced in a facility that doesn't handle nuts. I was pretty disappointed with this. I was pretty disappointed with this. Love the idea and the chocolates looked great, but I feel like they were lacking in flavour. The recipient totally loved the chocolates. The recipient totally loved the chocolates..
Good quality and robust flavour and healthy!